Add the Irish whiskey (Bushmills), Green Chartreuse, dry vermouth, creme de menthe, mint bitters, citrus bitters (I used Hella Bitters) and saline solution (see below) to a chilled mixing glass. Add ice and stir until well chilled. Strain into a chilled cocktail glass and serve straight up. Peppermint, sugar, herbs on the nose. 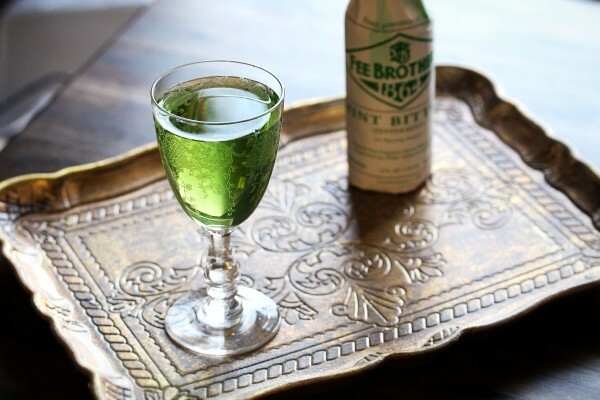 The smooth irish whiskey is accented by the herbal chartreuse. There’s a hint of spice and bitters in the mid palate with a touch of sugar. The finish starts minted and ends dryish and savory. 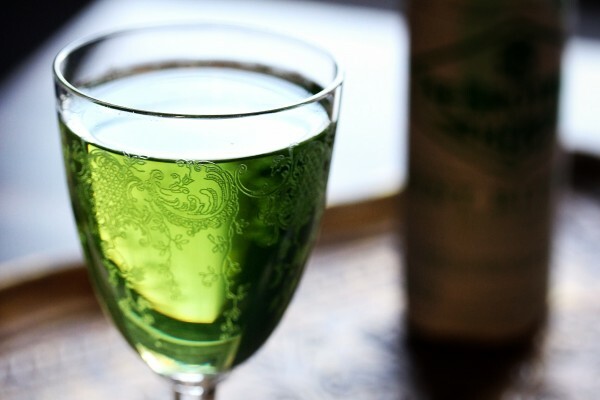 This is a reinterpretation of the classic Shamrock Cocktail. I also wanted to make a drink that fit the green beer/shots stereotype, without tasting like garbage. After a few tweaks I came up with this variation. The first thing I did was cut back on the creme de menthe and sub in some mint bitters. 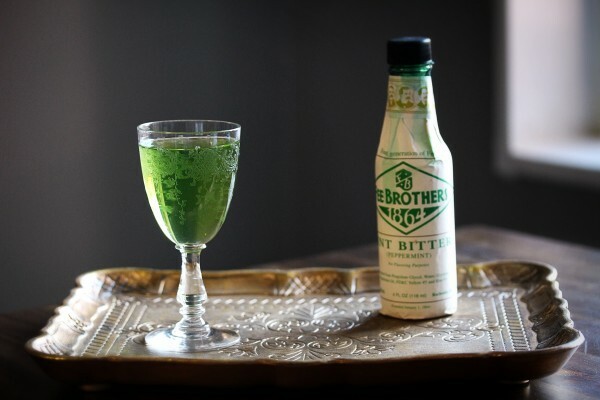 This made the drink greener than the original (I only have white creme de menthe) and gave it a bit different flavor. Then I upped the chartreuse and Irish whiskey, because if we are making an Irish cocktail, it damn well better be boozy. You may not have tried saline solution before. It’s actually really easy to make and in small doses gives a drink a nice savory flavor without being too salty. Add too much and you’ll be sipping on seawater. This captured that briny flavor of the original without sullying your green drink with an olive. Toss a little citrus bitters in to finish it off, then sit back and sip an Improved Shamrock Cocktail on St. Patrick’s Day. Just be careful, as this deceptively pretty little drink packs a monster punch.